The Mailchimp randomly chosen word of Episode 4, 'maskinonge' or 'muskellunge', was already familiar to listeners of the Great Lakes regions. 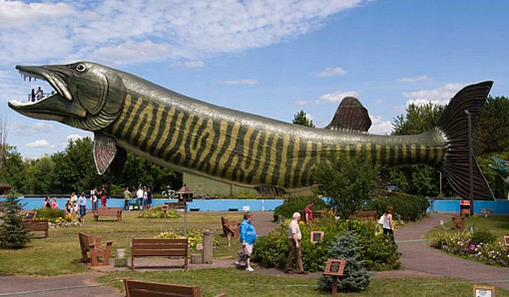 Or at least they were acquainted with the fish formally named muskellunge, but better known as a musky. It's a bit bigger than I expected. Fun fact: the word 'muskellunge' derived from the indigenous Algonquin term for 'ugly pike'.